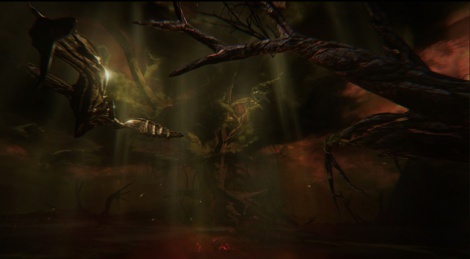 Tomasz Dutkiewicz unveiled a prototype of his project Sacred Agony a few months ago and now he takes the survival horror game to Kickstarter to help get the development started. If funded, the team expect to release it in late 2016 for PC/PS4/X1. Using Unreal Engine 4, the game lets you control a soul in search of his memories and who try to escape Hell. To help you, the ability to possess and control creatures who have their own abilities. More details and prototype videos inside. Sacred Agony just started kickstarter campaign! "Sacred Agony" is a survival horror game, where player takes control of the soul, with ability to possess creatures and people on its path. The goal of the game is to bring back memories, and escape from hell. Player in his journey will visit four completly different enviroments. Project will debut on PS4, Xbox One and PC (Windows). Sacred Agony have ambition to become amazing, AAA video game, with unique gameplay, and dark story. First person perspective, will give players immersive experience, which was tested and well received in similar, survival horror games. 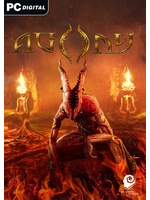 Sacred Agony wouldn't have made it this far if not for the support of gamers, the press, and fellow developers. Since the original prototype, we have change graphic engine to the latest version of Unreal Engine 4, and complete our vision of the game. Kickstarter give us an opportunity to create game that will be in 100% OUR vision of the product. Going to investors, and huge game developers, always give an result of many compromisses, and kill creativity. This is main reason why Kickstarter is the best avalible option. Player will begin his journey as tourment soul, without any memories about his past. Ability to control people on his path, and even simple minded demons, gives player the necessary measures to survive in those extreme conditions. By exploring hostile enviroment, and talking with the weary men, hero will soon understand that there is only one way to escape from Hell, and it will require a meeting of the mistical Red Goddess, who rules this segement of hell. Player have ability to choose from three different forms, which will completly change gameplay experiences. From weak human to almost immortal, powerfull demon? Why not! Playing in this form, makes player temporary immortal, and give him ability to take control of people and demons. He can levitate and become invisible for enemies. Taking control of the humans, will be main part of the game. In this form, players need to be carefull, and move in silence. Martyr can use torch, swim under water, holding his breath, resolving puzzles and even making traps. He also have abillity to discover secret chambers, finding hidden painting and collectibles, and he have special stealh movement. Controling this strong, almost immortal creature is hard, but gives many abilities needed to make progress. Demon can collect hearts, and this gives him one chance to overcome death. As an example, player can fall from an huge mountain and hit the ground. But if he have at least one heart collected, he can survive this. Demon is very fast and agressive creature, which can use telekinesis and his own hands, to kill anyone on its path. Really don´t know what to think about this. Great for starting epileptic seizure. If your game has mediocre graphics, a great way to cover it up is fullscreen effects that can even be sold as features: heavy motion blur, video camera or VHS signal artifacts simulation, colour transformation, distortions of all kind, and chromatic aberration.